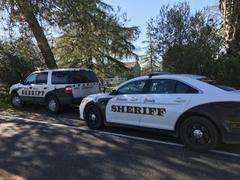 (Valley Springs, CA) On 12-28-18 at about 1100 hours CCSO Deputies responded to a residence in the 10000 block of Shelton Road near Valley Springs for a report of a suspicious person. Deputies had responded to this same residence about a week prior for a burglary. 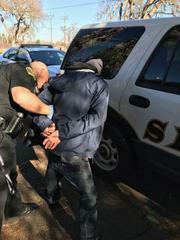 Upon arrival, deputies contacted and detained a male subject, Kevin Defilieppo (age 26 of Modesto). Defilieppo was found in possession of prescribed medications belonging to the residence. Deputies formed a perimeter and made numerous announcements. After an extended amount of time, a female exited the house and was detained. 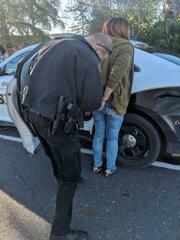 That female was identified as Chantell Barnett (age 28 of Mokelumne Hill). A third female was discovered hiding in a crawl space inside the residence. That female was detained and identified as Sarah Rosas (age 28 of San Andreas). Rosas had an outstanding felony warrant for theft charges out of Tuolumne County. The investigation revealed that the suspects had decorated the interior of the house for Christmas and had rearranged furnishings. 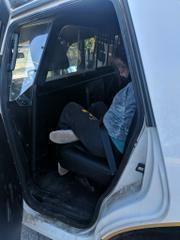 All three subjects were arrested and booked in to the Calaveras County Jail. Kevin Defilieppo: 460(a)PC, 182(a)(1)PC, 496(a)PC, 11350H&S, 11364H&S, 476PC. Sarah Rosas: 460(a)PC, 182(a)(1)PC, 148(a)(1)PC, Felony	Warrant out of Tuolumne.